The 1000 L + Padlock handle is available in black or chrome finish and will accept 7mm to 10mm dia padlock hasps. In addition our extensive range of round lock inserts can be applied to the control cylinder as well as slam lock action. 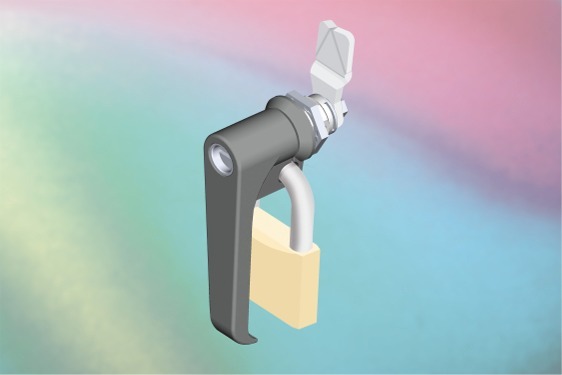 Based, as it is, on the existing L handle, this 1000 series item offers IP65 protection and is capable of being used with existing EMKA rod lock systems both inside the gasketing andoutside plus our range of ¼ turn cams.